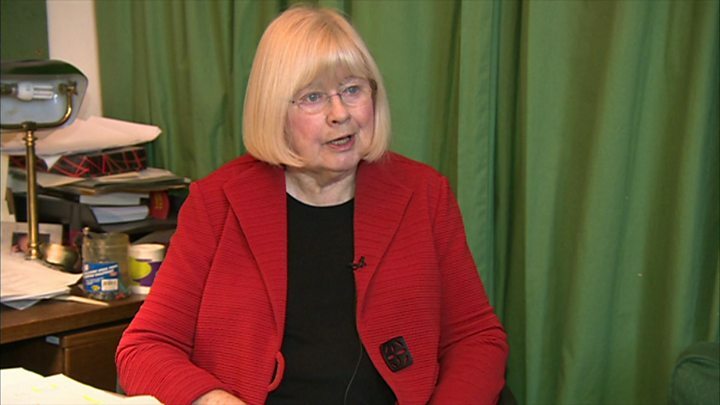 Media captionCynon Valley MP Ann Clwyd wants the UK to have a second Brexit vote. Ann Clwyd, Labour MP for Cynon Valley, wants MEPs to allow UK citizens to vote on any Brexit deal after negotiations are concluded. She is also calling for protections to be put in place for UK citizens working in EU countries and EU citizens here. The UK government said it wanted to protect the status of EU nationals already in the UK. Under Article 227 of the Treaty on the Functioning of the European Union any citizen can petition the European Parliament. Ms Clwyd said: "If a majority of the European Parliament don't like it they can in effect veto negotiations. I think that's a very big power. "When the true implications of withdrawal are known a lot of people will change their minds." Ms Clwyd is also urging MEPs to invite Prime Minister Theresa May to address them. She said: "The referendum was advisory and we should have looked at the advice, but still properly considered the implications of leaving the EU, which weren't clear to any of us - elected politicians didn't know." "We here in the UK parliament are still finding out about it. We know, just in the last few days, we may have to pay an enormous bill if we exit the EU." Leaving the EU would be detrimental to the Cynon Valley and the rest of Wales, she added. A spokesman for the Department for Exiting the EU said: "The prime minister has been clear we want to protect the status of EU nationals already living in the UK. "The only circumstances in which that wouldn't be possible is if British citizens' rights in the EU were not protected in return."